In black with a dark red interior. This delightful TA has been owned by a very enthusiastic couple who have used it in all weathers and have covered about 6,000 miles during their nine year ownership. It has had only two owners in the last twenty seven years. Sadly, an injury now forces the sale of their pride and joy. 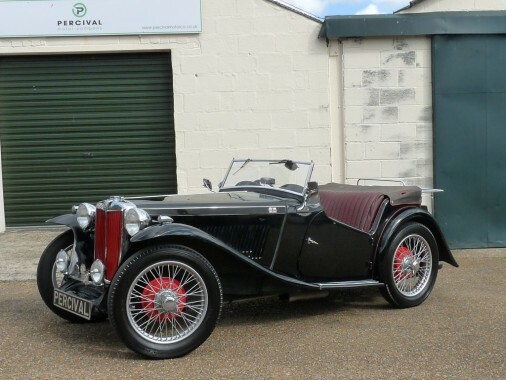 It is fitted with a 1275cc A series MG Midget engine and four speed gearbox which makes it very usable and more economical to run than the original, fragile, unit. It is in nicely worn condition reflecting its old age and is a wonderful machine. The TA has just arrived with us and is being re-commissioned after a period of inactivity.